Centrally located on the Las Vegas Strip, the Grand Bazaar Shops at Bally's include more than 20 retailers and a dozen food vendors. This shopping complex has a modern design that's inspired by traditional Mediterranean and Oriental outdoor markets. Part of Bally's, the shops are just steps away from several other major resorts on the Strip. Click to book your Big Bus Tours. One of the largest retailers at the Grand Bazaar Shops at Bally's by floor space, IT'SUGAR has a large selection of candy and novelty items. Occupying a significant portion of the center's southern grounds, Vegas EXP sells souvenirs, gifts and other memorabilia with Sin City themes. Beer and fine spirits are also sold at this specialty shop. Click to book your Big Bus Tours. At the TAC 702 Boutique, you'll find convenient items for you stay in Las Vegas. This store has a diverse inventory of travel items for ladies and gentlemen. Premium men's apparel and accessories are displayed on the shelves of Lindbergh. Women can shop for high-quality clothing and accessories at Expressions. Additionally, the Selected Beauty Boutique has cosmetics and grooming items for ladies. Some other specialty retailers at the Grand Bazaar Shops at Bally's include Black Clover, Rock Cinema and CYB. Designer jewelry is available at Alex and Ani, a company that donates generous funds to local charities. Mediterranean-inspired jewelry pieces are sold at Pascanoush. If you'd like to relax after shopping, head to the X World 360, which offers dozens of rides in a virtual reality form. From ethnic cuisine to classic American treats, you'll find a large selection of delicious food at the Grand Bazaar Shops at Bally's. Chicago-style pizza is available at Giordano's, which has a heritage dating back to the 1970s. If you prefer artisan-style pizza over deep dish pizza, check out the menu at Pisa Pizza. You can eat the gourmet flatbread pizza with fries or nachos. Gyros dominate the menu of Istanbul Mediterranean, an authentic Turkish establishment that serves halal meat. Having a large variety of noodles and boba tea, Ramen-Ya is another ethnic food vendor at the shops. If you crave classic American food, go to Dirt Dog, Blue Ribbon Fried Chicken or Wahlburgers. The Grand Bazaar Shops at Bally's offer several great options for cooling off on a hot day in Las Vegas. Marash Ice Cream and Ben& Jerry's serve cold treats for the entire family. Refreshing cocktails are served at Island Time Floats Tiki Bar, which has Hawaiian and Caribbean themes. Tacos with seafood and tropical fruit are also listed on the menu of this cool bar. Domestic craft beer is available at the Sin City Brewing Company. You can also order alcoholic beverages at the Born and Raised Craft Pub and Fuel Bar. The Grand Bazaar Shops at Bally's have a prime location on South Las Vegas Boulevard. You can take the RTC 202 bus to the stop at the corner of Flamingo Road and this busy boulevard. Parking near the shopping center is limited, so it's highly recommended that visitors use public transit or walk. Some of the largest resorts on the Las Vegas Strip are just a short stroll away from this retail market. An overpass connects the complex with the Bellagio and Cromwell. The Paris Las Vegas and Caesars Place are also within walking distance of the shops. 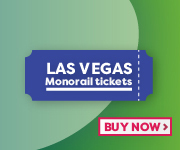 Additionally, the Las Vegas Monorail Flamingo & Caesars Palace and Bally's & Paris stations offer convenient access to this bustling section on the Las Vegas Strip. Click here to visit Grand Bazaar Shops at Bally's official website.